RoCkaNdFRoCk: NeW SeASoN, NeW FRaGRaNCe. Stilosa la boccetta cosi nera!!! Non l'ho ancora provato pero'.. poi ci dirai! I really need to try this perfume, I adore the look of the bottle so much! I don't know this perfume, so i have no idea if it smells nice. But the bottle is gorgeous. Thanks for visting my blog. Follow you now too (GFC/Bloglovin'). I'm totally crazy about perfume in the clear glass bottles. But this black one from Chanel would be an exception that proves the rule, I think ;) This fragrance is one of those special-events-perfume (as well as a small black). It's not exactly every-day one. But it still depends on the woman's skin and personality. io ammetto che lo comprerei solo per la boccetta che è un vero oggetto di design...comunque son proprio curiosa di sentire questo profumo :)! Sarà in vendita da metà settembre ad una cifra abbastanza altina...sono curiosa anche io! Ogni tanto metto il Coco classico che è un capolavoro ma difficile da portare anche per me che adoro i "profumoni"...questo sarà di sicuro più moderno! mai provato chanel per i profumi ..
Wow! Your blog is awesome. I am following u now! :D Love Rome! I spent NYE there. I actually wrote about it, if you'd like to read! Baci, bellisima! We want to try this too! The bottle alone looks amazing!! We're following you now, love your blog and the whole feel of it. Ma è stupenda questa confezione nera!! hope it smells as good as it looks! Devo ammettere che il packaging incide molto nell'acquisto di un profumo, alcune sono talmente belle che conquistano! Carino anche il tuo blog!!! Ti seguo anche su Twitter e Facebook! I have to try it! If only for the bottle! I have not tried this but I love the gorgeous bottling so I am also waiting to try it out! Have a great week Val. thanks for following me, of course i follow back (#1410 on gfc and #613 on bloglovin). it´s nice you´re also a mommy blogger :-) didn´t know about it. the flacon looks so chic, it must be a good one... never tried it, i love hypnotic poison by dior! So funny you posted about this because I've been trying to find a new fragrance too. I haven't tried this one, but I do love Chanel fragrances. I will have to try this!!! I need a new fragrance! 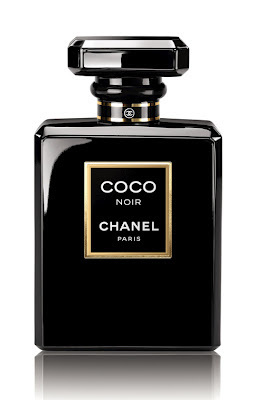 I've been using the COCO Mademoiselle , def gonna try this out. Love the bottle .